This week’s shout out goes to Vos Constructions, the people responsible for the incredible $12 million revamp of the Tasmanian Museum and Art Gallery among other high profile building projects around the state. A lesser known, but growing part of their business is shopfitting and they have already assembled an impressive array of clients both here in Tasmania and on that much larger island to our north. 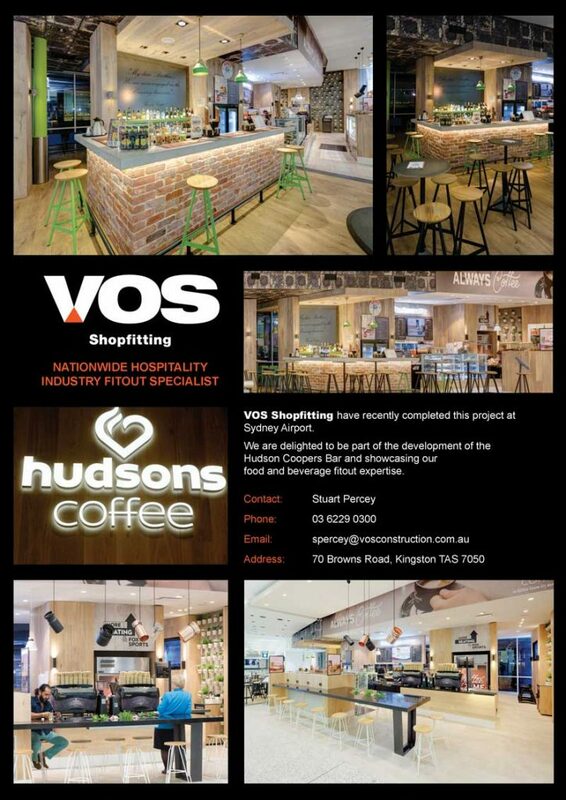 Emirates Leisure Retail Australia (Hudsons Coffee), Luxottica (OPSM, SunglassHut and Laubman and Pank), and Bakers Delights are some of the international and national organisations enjoying the Vos shopfitting experience as well as major pharmacy retail groups such as TerryWhite Chemists, Priceline, Chemmart, Discount Drug Stores and Chemist Outlet. 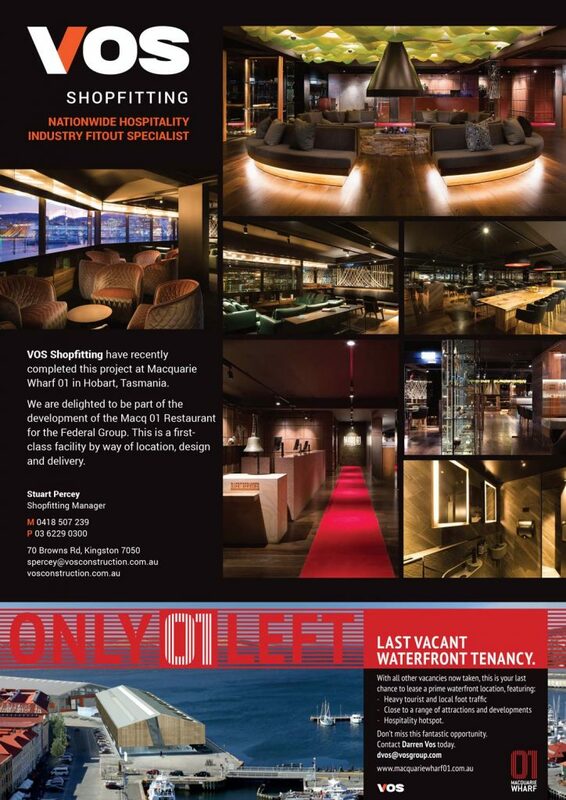 Resilience were stoked to be asked to develop a magazine ad to publicise their excellent work in the Macq01 Restaurant for the Federal Group recently in addition to the magazine ad we developed for them after their fit out of the Hudsons Coffee outlet at Sydney Airport.